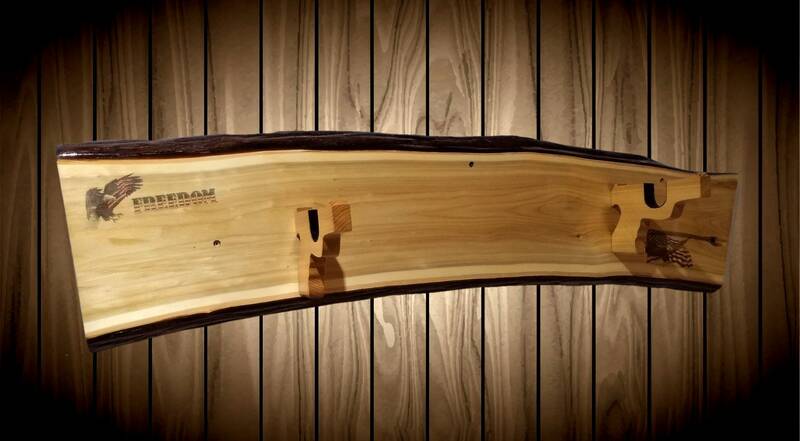 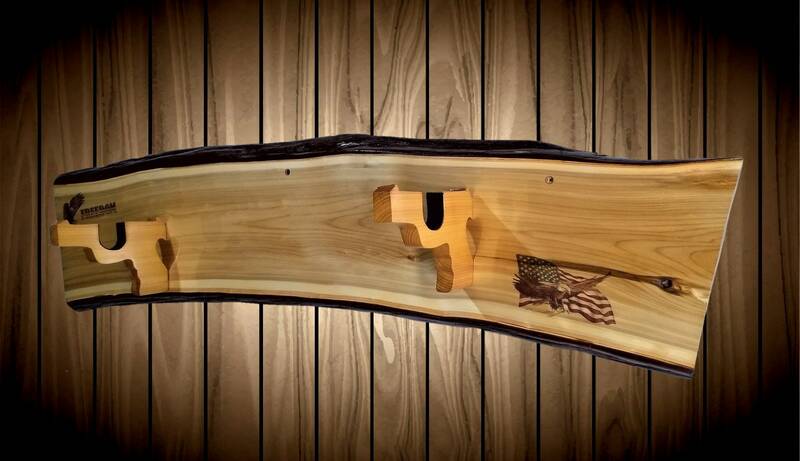 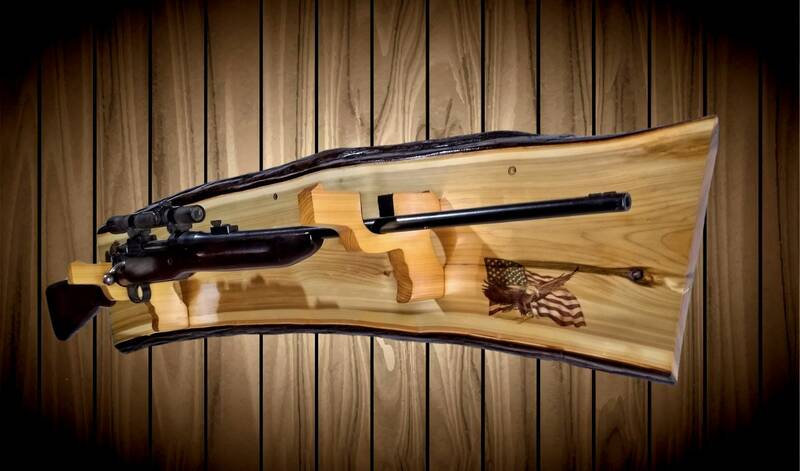 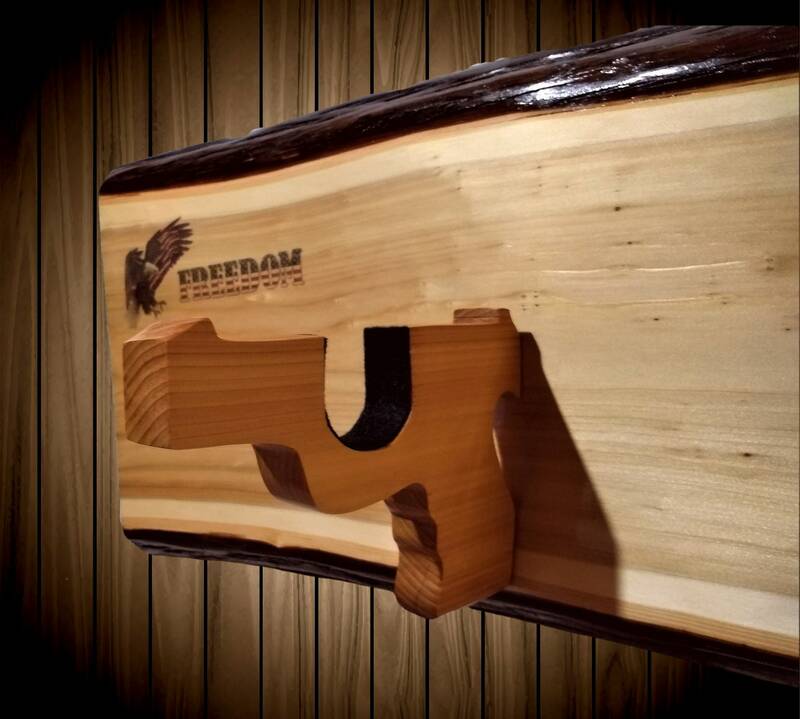 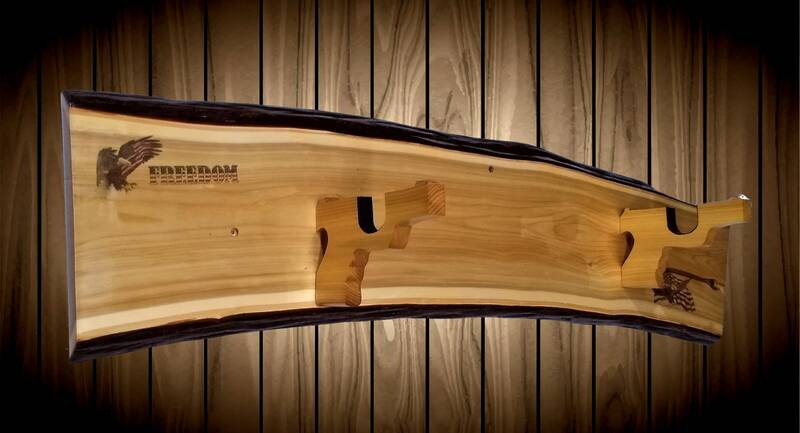 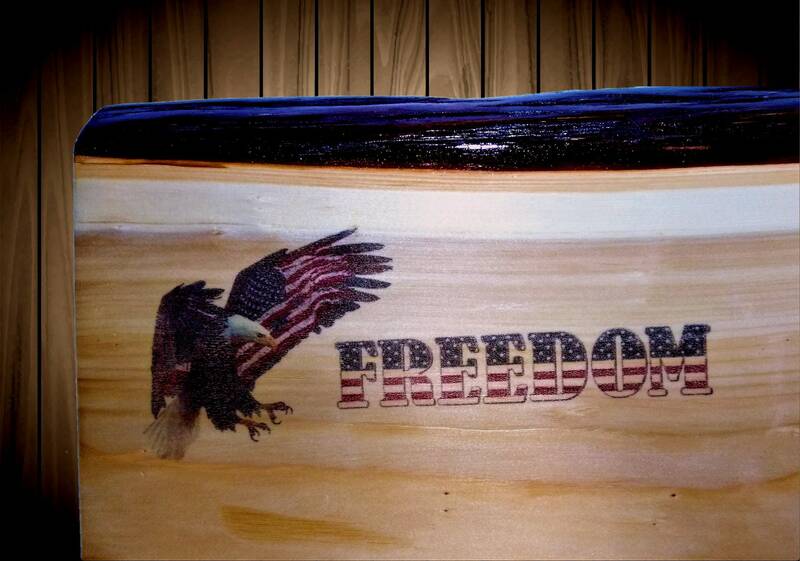 Be Proud To Display Your Gun with This One of a Kind, Handcrafted Custom Gun Rack. 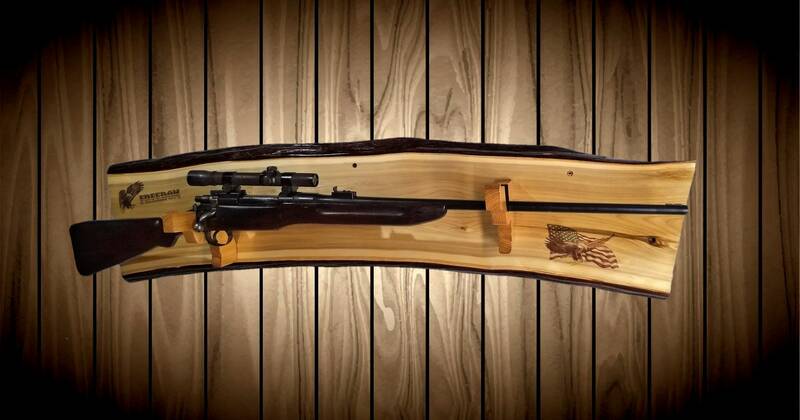 Will Store Rifle, Muzzle Loader, Shotgun as Shown. 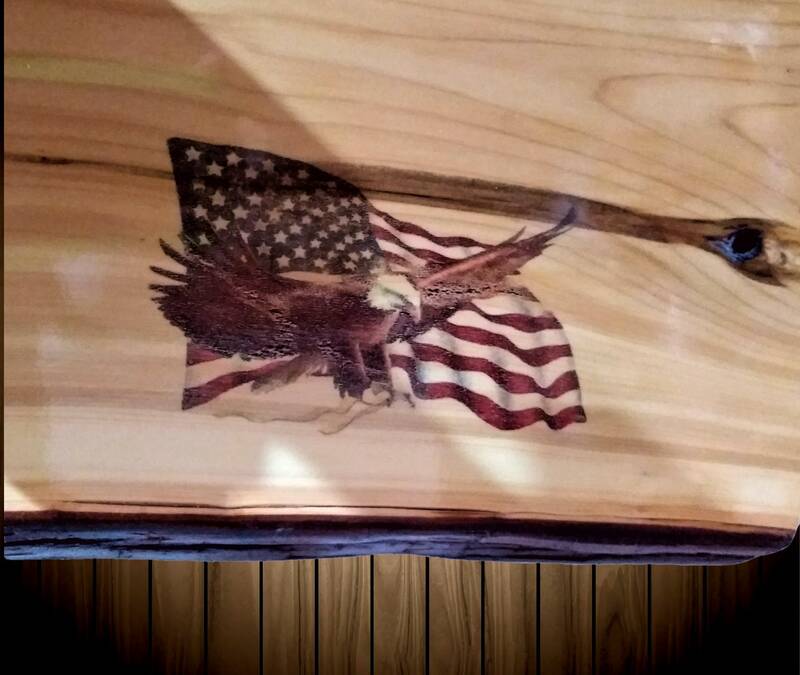 •Live Edge with Natural Color and Bark. 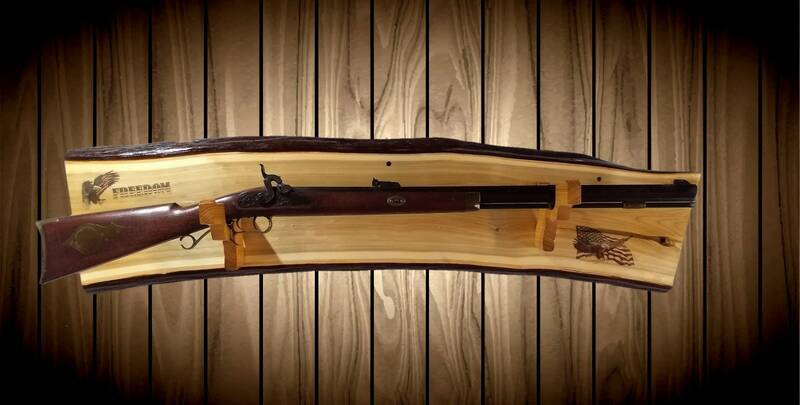 Ships In Two Business Days..
Thickness of Knotty Cedar Body: 1 1/4"
Thickness of Cedar Pistol Gun Holders: 7/8"